Home to fashionista’s, celebs and royals – London’s oldest hotel, might be over a century old but this socialite ‘hangout’ is hipper than ever before. 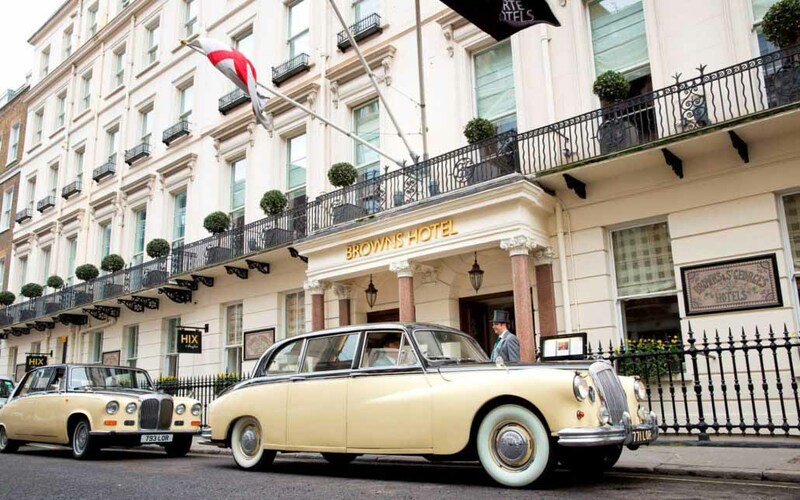 Brown’s Hotel, a Rocco Forte hotel in the heart of Mayfair, opened its doors in 1837 as the first hotel in London, the same year Queen Victoria ascended to the throne. In the 180 years since it has rightly become a London base for royalty and writers, from Pulitzer Prize and Oscar winners to musicians and scientists, explorers and politicians alike. This winter, in celebration of 180 years of Brown’s Hotel, the hotel is offering an unparalleled opportunity for guests to visit the property and bask in the intimate historical setting that has been home to so many. Guests can enjoy two nights stay or more, with 20% off the room rate, breakfast every day, a guaranteed upgrade and a complimentary Afternoon Tea for Two in the infamous English Tea Room. Guests enjoying this offer will follow in the footsteps of Laurence of Arabia and George Orwell, sipping tea in the very room that Franklin Roosevelt visited on his honeymoon and, due to the hotel’s illustrious past, has become one of the most treasured tea rooms in town. With a glass of champagne, a cup of English tea, delicious sandwiches and scones by some of the most experienced chefs, guests can relax in the warming atmosphere that has hosted many of history’s most alluring characters. During their stay, guests will not only discover the insights that inspired Agatha Christie’s book At Bertram’s Hotel, but will also be following the footsteps of royalty as the hotel was one of Queen Victoria’s favourite city haunts as it is so close to Buckingham Palace. Guests taking advantage of the offer can use the chauffeured Bentley to go and visit the Royal Palace and drive up the famous Mall. Set in the perfect location, from the hotel guests can explore all that Mayfair has to offer – tempting boutiques of Bond Street, tailors on Saville Row, art galleries on Albemarle and theatres just a short stroll away. Back in the hotel, guests can enjoy one of the newly renovated Brown’s Suites whose walls once housed some of the most prolific writers of the century. A regular guest, Rudyard Kipling penned the Jungle Book when staying at the hotel, and Stephen King followed by writing a novel from Rudyard’s very own desk. Olga Polizzi’s elegant design includes libraries in each of the rooms, so guests can peruse the selection of books by the talented authors.